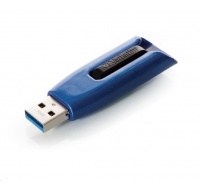 VERBATIM USB Flash Disk V3 MAX USB 3.0,16GB - modráKapacita (v GB):16; Verze USB:3.0. 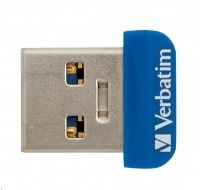 VERBATIM USB Flash Drive Store 'n' Stay NANO USB 3.0 16GBKapacita (v GB):16; Verze USB:3.0. 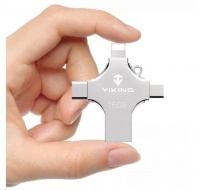 Viking USB Flash disk 16GB s koncovkou APPLE Lightning / Micro USB / USB / USB-CKapacita (v GB):16; Verze USB:2.0. 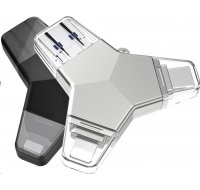 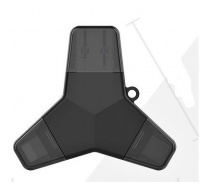 Viking USB Flash disk 3.0 4v1 s koncovkou Lightning/Micro USB/USB/USB-C, 128 GB, černáKapacita (v GB):128; Verze USB:2.0, 3.0, USB Type-C.
Viking USB Flash disk 3.0 4v1 s koncovkou Lightning/Micro USB/USB/USB-C, 32 GB, černáKapacita (v GB):32; Verze USB:2.0, 3.0, USB Type-C.
Viking USB Flash disk 3.0 4v1 s koncovkou Lightning/Micro USB/USB/USB-C, 64 GB, stříbrnáKapacita (v GB):64; Verze USB:2.0, 3.0, USB Type-C.
Viking USB Flash disk 3.0 4v1 s koncovkou Lightning/Micro USB/USB/USB-C, 64 GB, černáKapacita (v GB):64; Verze USB:2.0, 3.0, USB Type-C.
WD ECFC (SLCF1GM2AU) CF1GB Compact Flash SLC 32NM 1GB PATA HE 1889-012 1012SAGTechnologie paměťové karty:SecureDigital High Capacity (SD HC); Kapacita (v GB):1. 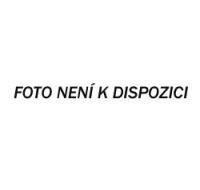 WD ECFC (SLCF8GM4TU) CF8GB Compact Flash SLC 43NM 8GB PATA HE 1804 80016-201SAGTechnologie paměťové karty:SecureDigital High Capacity (SD HC); Kapacita (v GB):8.